WHAT'S HAPPENING TO MY MUSE? Now that I've decided to go ahead with it, I'm quite relieved that I'm going to tackle the AtoZ Challenge again this year because I'm having one of those moments where my Blogging Muse seems to be taking a nap. Maybe she has a few of those Midlife aches and pains and feels like a little rest would do her good. Whatever her reason, she just isn't running full steam ahead at present and I'm not having to chase her to keep up - instead, I'm sitting around, twiddling my thumbs, and waiting for her to regain her momentum. So, with April looming I was running a bit on empty and wondering what I was going to do to keep myself powering ahead - usually I have so many things buzzing around in my head that it's difficult to keep track of them all - but lately.....not so much. I've been thinking that maybe I've written all there is to write - what a scary thought! I'm hoping that writing about something a little different than my usual blogging stuff might give me some refreshment and set me back on track - hopefully by the end the April Challenge my Midlife Muse will re-awaken and I'll be bursting with blogging ideas and feeling inspired for the rest of the year ahead. I think every blogger I know has experienced these times of dryness where you wonder whether you have anything worthwhile left to say. The advice is usually to stop and take a break - maybe take a month or so off and see what happens. I'm doing the opposite, I'll be writing almost every day and pounding my laptop keyboard until I have callouses on my fingertips. But it will be different and I really hope the change of scenery will rev my engines back up again. It's a strange feeling to have the well run dry. I usually have two or three weeks of posts just waiting for me to hit publish - but not this time. Mad March has come and stolen my Muse. Maybe that's overstating things a little - I mean do I actually even have a Midlife Muse? I'm hardly a great artist who is overflowing with inspiration, just waiting to produce my next epic masterpiece to share with the world......but I'd like to think that this little corner of the blogosphere is my home and I don't want to close it up and not live here anymore. So, fingers crossed that the AtoZ Challenge lifts me up out of the dry well, wakes up the Midlife Muse, and fires me up for the months ahead. Have you ever had a time of low inspiration? Do you ever feel like maybe you've reached the end of the journey? What advice would you give me? This reminded me of when I was coming up with the idea of blogging, and my hubby said "are you sure you'll have enough ideas for a year?" Ha...and that was 3 years ago. I still struggle at times with ideas, but I find that it comes in spurts!! I just have to remember to write all my ideas down when they start flowing. Or ask others for ideas!! You're so right Jodie - I thought I'd last 6mths and here we are more than 3yrs later and still going strong. I don't know what I'd do with myself if I stopped blogging for a month - so hopefully the AtoZ will give me time to mull things over and some new inspiration will descend. I have been in a dry spell for a while! Those pesky dry spells will definitely hit. It's great to have a couple of guest posts lined up for just those occasions. In the meantime the A to Z challenge is sure to prime your pump. I like the pump priming analogy - fits in with my dry well metaphor. I'm hoping while I'm distracted with the A to Z, a whole lot of new ideas will pour down and refill the well. I figure if I pump out the posts over April it might wake her up a bit Jo and she'll start inspiring me in time for May - fingers crossed! I go in circles wondering whether it matters whether I blog or not. And in the grand scheme of things, that 'big picture', it doesn't matter at all. Except it is an outlet for my writing. And that's why I do it. Heading over to read about the A to Z Challenge now. My curiosity is piqued. I'm a bit the same Leslie - I wonder why I do it and who'll read it, then I remember that I actually just love putting my thoughts down somewhere and interacting with all those lovely people who come to visit me. And YES come join the party at the A to Z - it's not too late if you can think up a topic to write on. You even have time to throw in a Theme Reveal post and link it up over the next week or so. I'm SO glad Jo - if you write a quick intro post you still have time to link it up to the Theme reveal thread. There is a FB page for A to Z (https://www.facebook.com/atozchallenge/) and there'll be a daily thread to link your post to. It's good to keep your posts fairly short - less onerous to write so many and easier for others to read. I'm a bit jealous of all your ideas Min - I think I'll use up a bit of my Muse writing the April posts and then see if it gave her enough of a boost to come up with something fresh for May - time will tell. I have never done this challenge, but I feel an idea brewing! Good grief Shirley! I would be having a nervous breakdown if I only had one post finished - I'm about 2/3 of the way through mine and feeling like I'm on top of things - I just don't have any ideas for the months ahead. 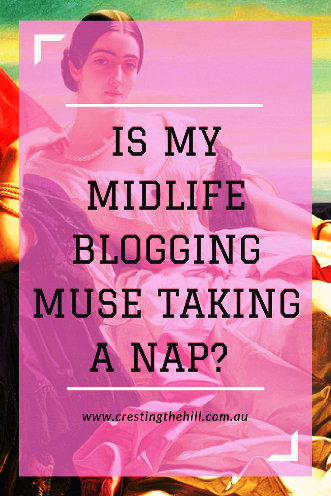 Hopefully your Muse will get her act together and inspire you with multiple posts before too much longer! I think you get into holiday mode Kathy and it takes a while to settle back into a routine - I can't use that excuse unfortunately. So, I'm hoping the AtoZ sparks something and I'll be fired up and ready to go in May! It's funny how our blogs are so important to us, but would we make any dent in the interwebs if we quietly sailed off into the sunset? I'd like to think we'd all miss each other Deb - I know I'd certainly miss the interaction and discussion. I also love how blogging stimulates my mind - not sure what would replace it if I quit? Like the weather, dry spells come and go. I just have to remember to jot things down when I think of them, or they too, like the weather, come and go. I find I get my best ideas for stories when I'm visiting (my favourite thing to do!) with family or friends. Stories from the past just seem to pop up out of the nowhere! I think you're right about dry spells Diane - I'm hoping that the rain will come while I'm distracted throughout April and it will be all green and fertile when I start afresh in May - fingers crossed! I did the A to Z a couple years ago and it really helped get the thoughts flowing again. Good luck! 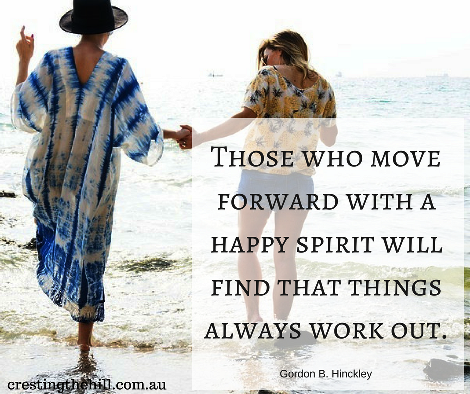 That's what I'm hoping for too Kimberley - it tends to introduce me to new blogs and new ideas and takes me off my usual beaten path - all good things. Maybe write about what you want and figure out how to assign the letter to it. For instance, if you want to write about cupcakes, but the letter is "f", mention something about frosting. Does that make any sense? My theme sits well with my usual posts and I'm hoping it will give me food for thought and things to write about after it's all finished Alana - I'm hoping for that little shot of energy too. Hi, Leanne- I bet that your muse has not gone far and is simply resting up for the A to Z Challenge! I look forward to seeing you there. Hi Leanne - a dry spell is hard - but I'd say instead of thinking about it - do other things you love. The ideas will come back to you and know that we, your readers, love reading your thoughts. I'm looking forward to your A to Z posts and, foolishly, have decided to take part in the Challenge again this year. You had a last minute change of heart Kalpanaa - the Challenge does that to us doesn't it? I'm glad you'll be joining in the fun and we can all visit each other throughout April - and hopefully it will wake up my Muse! I run dry on a regular basis. I write my posts right before publishing so I never have anything in reserve. I find by reading other blogs and living life something always comes up to write about. Good luck on your challenge. 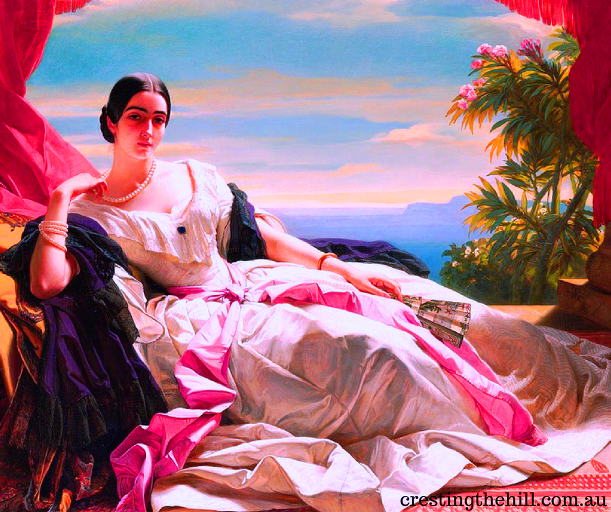 I couldn't not have a few posts up and scheduled Victoria - the stress of wiritng just before publishing would kill me! You are amazing if that's how you regularly write! Oh yes I can so relate. I usually take a break when I'm feeling at a loss for words or feel stale or said everything that needs to be said. And usually I find my voice reappears. It might start via lengthy facebook updates or instagram blitherings and then I need to get words out. I'm feeling a little bit the same way Deb - my blog has become such a big part of me but I wonder whether all good things eventually come to an end? I'm hoping inspiration seizes me by the throat before too long and I'm back to hammering away on the keyboard again. I am always gobsmacked by people who work fulltime and manage to blog as well - to do all the extra stuff you have on your plate and still put out regular posts just blows me away. I feel like my blog is good for filling my leisure time - and I have a LOT more of it than you do! We'll see how the next month or so pans out. I'm thrilled that you are AtoZ-ing too Sue - and so are quite a few other bloggers that we know - it should be quite a party for us over April - and hopefully it will refuel my Muse and I'll be ready to write again in May - fingers crossed! I've known of you for some time, but am just now getting to exploring your site for the A-Z blogging challenge. I look forward to reading your posts during the challenge and beyond. I blog at https://profoundjourney.com. We have lots of similar interests. My theme for the challenge is Snack-Sized Wow Notes for Women Midlife and Beyond. Like you, I reply to every comment. I think that matters. It's a great idea to battle the temporary departure of your muse by pushing on and writing 'as if' - as if you had a million ideas again and couldn't stop your fingers from pounding those keys. Have a terrific challenge. It's lovely that you've stopped by to comment Karen - and your AtoZ theme sounds really interesting. I'm popping over to your blog to catch up with you and to bookmark it for the posts I want to read during the Challenge. Fun times ahead! I did the A to Z Challenge a few years back and really enjoyed doing it. I also did it when I was feeling a little bit sluggish in the blogging arena. I'm happy to say that it showed me that I do have things to say and that finding content is quite easy, once I was motivated to do so! Looming deadlines seem to be very motivated! Yup I go through this at times too Leanne. Much prefer the times when my head is full of ideas and I'm bursting to get them out on to paper (or the computer)!